The new Nocturnal Abyss album, Among the Cold Graves, is now available on CD. Payments accepted via Paypal. Contact me by email for more info. To preview and/or purchase as a digital album via Bandcamp, click here. The latest full-length from Nattsvargr, Night of the Crimson Thirst, is now available on CD. Payments accepted via Paypal. Contact me by email for more info. To preview and/or purchase as a digital album via Bandcamp, click here. For those few who might be interested, I gathered several interviews that were done with me, with regard to my failed musical projects. They can be found here. Thank you to those that have sent messages in recent months. I am grateful for the support and the appreciation for the site. My apologies to those that seem eager for more content. As has been the case for a while now, injuries, pain, depression and unstable living conditions have all combined to make it exceedingly difficult to be as productive as I would like. Content will be added as circumstances allow. The name of the site has now been changed from Rites of the Black Moon to Morbid Curse. Thanks to Roza for the logo. The new full-length from Nattsvargr, Winds of Transilvania, is now available on CD. Paypal payments are accepted. Contact me by email for more info. To preview and/or purchase as a digital album via Bandcamp, click here. After receiving a few messages, I thought it useful to point out that lack of updates to this section do not mean that the site is inactive. Just scroll down a little and check the "Latest additions", on the left side of the screen. Questions, comments or suggestions can be sent to noctir@gmail.com. "The Abyss" has been resurrected and can be downloaded from here. Just scroll down for the mediafire link. Depending on how it goes, the show may be resumed on a weekly basis. The Nocturnal Abyss full-length, From the Depths of Mörkvod, is now available through Redstream.org. The album can also still be ordered directly from the band and from here. In addition, for those in or near Oslo, it can be picked up from Neseblod Records. The Return of the Winter Frost, from Bloodfrost, can be ordered here. Also, regarding this project, currently seeking musicians for a new full-length to be recorded in the near future. The new E.P. from Nattsvargr is available on CD. I Djupaste Skogen av Hat features three songs of raw, hateful Black Metal. The cost is $5 plus shipping (calculated by location) and can be ordered from here. Those interested in using Paypal can contact at noctir@gmail.com for info. The debut full-length from Nocturnal Abyss, From the Depths of Mörkvod, is now available. The CD can be ordered directly from here. Those interested in using Paypal can contact at noctir@gmail.com for info. My close friend and spiritual brother, David Parland, has passed away. R.I.P. I regret the severe lack of new content in recent months. A few things have been added, but much less than hoped for. As some may know, I am struggling with homelessness and health issues, among other things. Unfortunately, no end is in sight. When/if these problems are resolved, it is my intention to resume writing on a more regular basis. "The Abyss" is on hiatus until further notice. In addition, the band Blackmoon has been laid to rest, based on discussions between myself and the other members. As for Nattsvargr and Bloodfrost, both of these projects are on ice for the time being. In the past week, a new interview was done with David Parland (aka Blackmoon) of Infernal (formerly of Necrophobic, Dark Funeral and War). It has now been added to the 'Interviews' section. 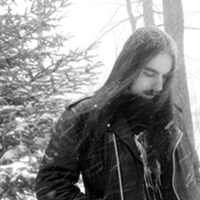 A recent interview conducted with Shatraug of Horna / Sargeist is now available. Visit the 'Interviews' page to read it. "The Abyss" now has a new home, as I have recently joined Hard Rock Radio Live. The show can now be heard on Thursday nights, from 7pm to 9pm (US Eastern Time) and can be heard here. Despite a great amount of instability, I have tried to get back to writing new content for the site, on a more regular basis. All feedback has been quite useful and is appreciated. I will do my best to reply in the near future. A bad car accident and extensive travels have caused an interruption in writing, for the past couple months. This is temporary and many things are planned for the near future. Hopefully, things will get back to normal before the end of summer. "The Abyss" will soon be featured twice a week, as I shall begin working with TNT Rock Radio. The show will be on Friday nights, from 9pm to 11pm (US Eastern Time) and can be heard here. This is in addition to the weekly broadcast on Metal Messiah Radio, which will continue airing on Saturdays, from 5pm to 7pm (US Eastern Time). In the coming days and weeks, attempts will be made to try writing less in-depth reviews, in addition to the normal (longer) ones. This is not for the purpose of becoming lazy and giving less effort, simply to be able to include albums that do not inspire so much thought and may not necessarily be worthy of the same lengthy treatment as others. Due to scheduling conflicts, I am no longer writing for Metal Music Mania. Will still continue adding content to this site, though travels and other things have been impeding any real progress. Hoping to get back to a normal level of output by the autumn. I have recently accepted a position as the writer for Metal Music Mania. Be sure to visit that site as well, and to spread both links. Since it is a paying gig, it has been recieving more of my attention, though less energy is devoted to the quality of the articles on that page. In time, hopefully, more content wil be appearing here more frequently. Due to health problems, I have been unable to add as much new content as I would prefer, in recent weeks. There are many things waiting to be written, and they will be published as soon as it is possible to do so. Tonight, I have finally taken the time to re-write the review for Sepultura's Morbid Visions, which was among the very first that was written, and not up to the same standard as the rest. As suggested, a guestbook has now been added. The link can be found on the 'Contact' page. Also, on the right you will find a Google search bar, which is set to search this site only. This may or may not remain, so any feedback on its practicality is welcome. The 'Articles' section has been worked on, and should now prove to be a bit easier to navigate. As well, a recent article has been added, titled "The Silent Conquest". A new piece has been added, to the 'Articles' page (naturally), entitled "On the Venom / Bathory Debate". New content has, finally, been added. Things have slowed down, in recent months, due to my involvement in a few bands as well as some worsening health problems. The second full-length album from NATTSVARGR, Vinterblod, will be released on 15 March 2010! Click here for information. "The Abyss" will soon be resurrected. The year-plus hiatus is over, and the show will rise from the grave thanks to Metal Messiah Radio. More information, and past playlists, will soon be available. New reviews have been added. There are over 200, which makes up the bulk of the site. Thanks for the feedback. Most has been positive or, at least, constructive. The feedback for the new site has been very positive, thus far. The same can be said of the latest reviews, as well as the newly added horror section. Movie reviews added to the horror section. There's also an extensive Horror List, providing a variety of recommended films for the upcoming horror season. Also, a good number of new reviews have been added. They can be found by checking out the 'latest additions', to your left. Everything is, finally, up-to-date. All material has been transferred from the old site. The horror section is currently under construction. I've written a couple of brief reviews for the first two Halloween movies, just to get started. I'm new to reviewing films, so I expect it will take some time to improve. Also, all of my computer knowledge is self-taught, so I'm learning as I go along. Please notice the new feature to the homepage, which should be to your left, which will list (and link to) the most recent additions to the site. Hopefully, this makes things much more convenient for visitors. A couple of reviews have been added for Satyricon and Isengard. Several more are planned for the near future. Progress may have slowed since earlier this year, primarily because I covered most of the albums that I really wanted to write about and haven't been as motivated. Eventually, I hope to get to every album in my collection, but this will take some time. I have gotten several requests to review albums and demos from newer bands. At this time, I don't think this would be such a good idea. Typically, I enjoy reviewing albums that I know very well and have a strong opinion on, one way or the other. I have a, generally, low opinion of most newer music and this would probably result in an unfavourable review for your band. Perhaps, in the future, I'll learn to be less biased. Procrastination has continued to plague the other areas of the site, though keep in mind that I just started this less than a month ago. So much time and energy was put into it that I burned myself out, temporarily. I fully expect to have everything finished in the near future. The lengthy task of putting up the playlists for "The Abyss" has just begun. 2006-2008 are now up. The previous years will take some time to add, since they need to be typed up and formatted. With luck, this will be finished in the near future. Currently, work is being done to the interview section. I transcribed several Dissection interviews, from paper copies, last year. These have all been added now (with the exception of one that appears to be incomplete). The Mayhem interviews will be the next to be added, though after transcribing some of these, I discovered some of them already online after all. Also, there is a new Necrophobic review up, for The Call E.P. Finally, all of the album reviews have been added, so the site is current. This was the most brutal part of this whole endeavour. Now that this has been completed, I can attend to the less important details as well as begin writing new material. Currently, there is a new Dissection review, for the Into Infinite Obscurity E.P. The transferral of material from the old site to this one is progressing at a decent rate. It would have been finished already, but such tedious work requires some amount of rest, in between sessions. It appears that there should be enough room for all of the content. Once all of the reviews have been added (I'm currently working on Testament), then I will turn my attention to putting up the transcribed interviews and so on. All of this work has interfered with the writing of new material; however, I hope that this will no longer be the case in the coming week. So far, things are progressing in a more expiditious manner than was initially anticipated. It is, by no means, near completion; however, it would appear that the site may be finished by the end of the month. The only real concern is whether or not all of the content will fit within the 20 MB limit. Furthermore, even if I can squeeze it all in, there is no telling how much more I'll be able to add. Time shall tell. So, for a mission statement; i.e. the reason the Rites of the Black Moon Webzine exists... I contributed to other sites, in the past, writing a handful of reviews. One night, after completing one that I felt particularly good about, it seemed to me a shame that it would simply languish on some site, alongside countless others. I was beginning to develop a style, as it regarded album reviews, so I decided to collect all of the previous writings and put them together on a site of my own. Admittedly, these earliest reviews were not very good, compared to the later ones. However, I like to think that I've gotten better with time. This brings me to another point. I am sure that someone else has already done a more adequate job of reviewing these albums. Initially, I tried to stick with those that had not received much attention; however, this was limiting as I was forced to ignore releases that I felt strongly about, since I assumed someone else had done it first and done it better. But this site (as well as the original) isn't about writing the definitive album review for each one. This is simply my perspective. I often enjoy more personal reviews, as opposed to those that were hung up on the technical aspects, only. If I am able to influence someone to pick up an album they have not yet heard, or to give an older one another listen, then I have succeeded at something. Even if this is appreciated as entertainment, only, that is fine as well. More than anything, the process of writing is cathartic and this is, ultimately, a selfish endeavour. First off, I understand that the site looks like hell; however, it has to start somewhere. This is a project that is currently in the beginning stages. I have never before developed a large and involved website, so this will be my first attempt. I am also not extremely familiar with this server, so the entire endeavour will be a learning experience. I have been planning, for quite some time, to give the Rites of the Black Moon Webzine a more proper home, as it is currently hosted by a blogging site. I've managed to link together several blogs, to give the illusion of a website, but there are certain organizational limitations that I wish to eliminate. I am not positive that Tripod will be the final home; however, it will serve as an experiment at the very least. Due to my inexperience and general laziness, this may take some time. However, I hope to see this come to fruition by the end of 2009. In the meantime, visit the link below to see the official site. 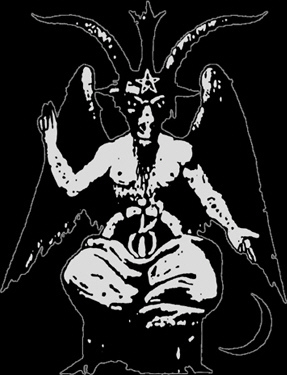 Morbid Curse Webzine was created by Noctir during the frozen nights of January 2008. All written content is the property of Noctir, unless otherwise stated. Do not reproduce anything without permission. Cover art and lyrical excerpts are property of their respective artists / label.